It's been awhile, you all ~!! 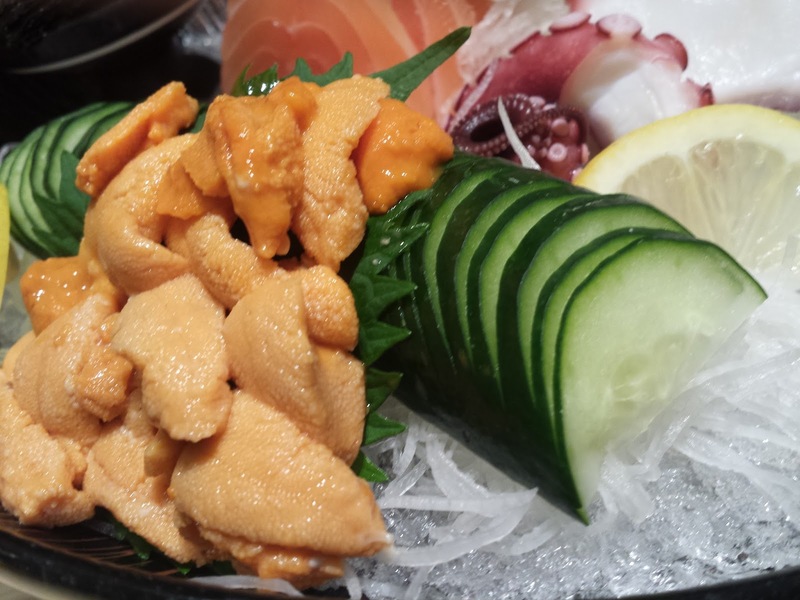 So, for the first time of my life, I tried the uni sashimi at Sushi Tei @ JEM. 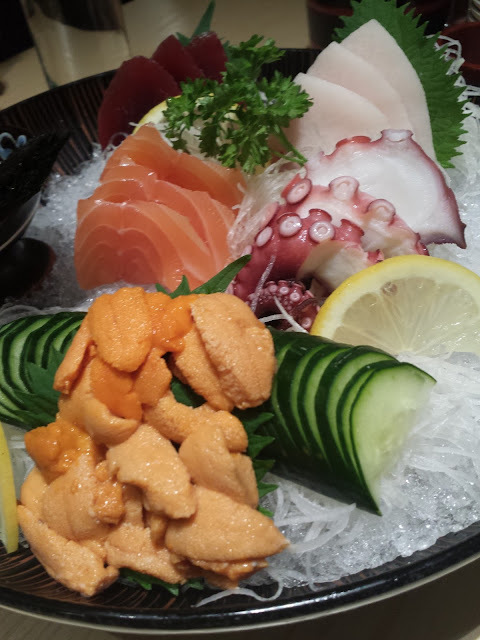 Sashimi has been my biggest love ever since I've remembered and I've always wanted to try uni. However, upon knowing that it's sea urchin, I would say none of my friends that I've gone to Japanese Restaurants with dared to eat it! ): What a disappointment... And since it's really hard to prepare, uni sashimi is usually a little pricey, so I never ordered it. The feeling of having that lucious piece of uni in our mouths is just orgasmic !! 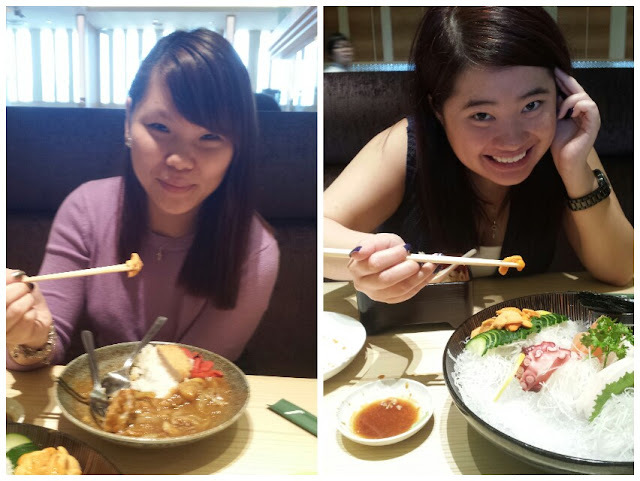 The serving was pretty generous for $38 and it was really flavourful. Totally loved it ~! !